Pen Drive Data Recovery – How to Recover Deleted / Lost Files from Pen Drive? Need to recover data from pen drive? Accidentally delete files from pen drive, format pen drive by mistake or pen drive gets corrupted for no reason? Don't panic. This guide will show you how to do pen drive recovery in Windows 10/8/7/XP via detailed steps. Pen drive data recovery is the process that helps to recover deleted or lost data from pen drive and recover lost data from corrupted or formatted pen drive. Let's take a close look at how recovery process works. 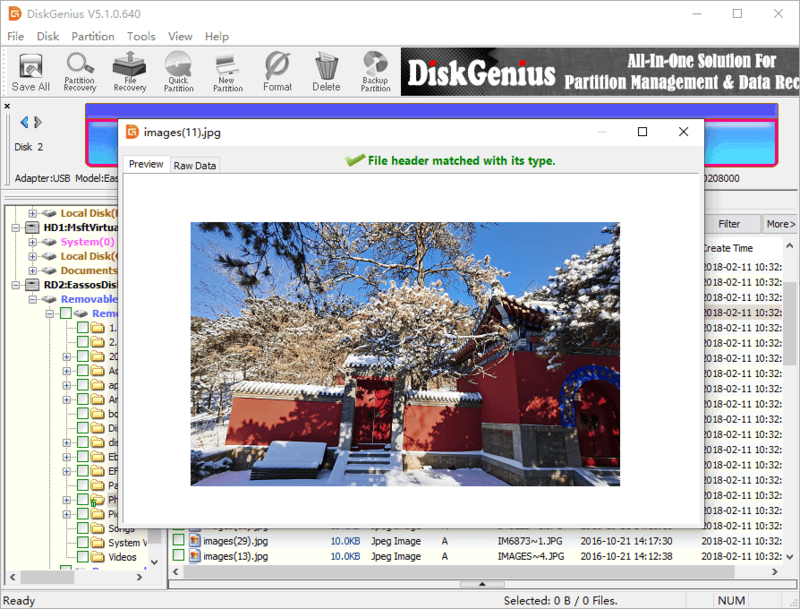 DiskGenius - Reliable pen drive data recovery software safely recovers deleted or lost files from pen drive. Pen drive recovery case 1: How to recover deleted files from pen drive? Pen drive recovery case 2: How to recover files from corrupted pen drive? Pen drive is one of the most popular removable storage devices and it is extensively accepted and used to store data and transfer files. It brings about great convenience though, users may face data loss issue. Files stored on pen drive may get lost for many reasons such as deleting, formatting, corruption, virus, bad sectors. Thus, data recovery from pen disk is needed. What's the change of successful recovery of lost data from pen drive? You have 95%-100% chance to get back lost data as long as lost files are not overwritten. When you delete a file from pen drive, the file system marks the space taken the deletes file as free so that it can be used to store new data. You can perform file recovery before deleted files are erased and overwritten by new files. Therefore, you should protect lost files against data overwrite, otherwise you won't be able to restore all lost files completely. Pen drive data loss issue is common to many users and here we list some of the most common factors behind the issue. Accidental deletion: You delete files or folders by mistake from pen drive and these deleted files do not have a backup copy. Format the drive: You might format pen drive accidentally, for example, you choose the wrong drive letter when execute formatting task. Partition corruption: Error message appears when you want to access the drive in File Explorer, for instance "The drive G: is not formatted. Do you want to format it now?" Virus attack: USB drives tend to infect virus, for they are often used on difference machines to transfer data. Quality issue: Frequent usage or poor quality can cause the device to fail, and then lose data. Improper removal of USB drive: If you remove pen drive from computer without clicking Safely Remove Hardware, you are likely to turn the drive to RAW. Bad sectors: Memory chip in pen drive might be damaged due to bad sectors and the drive cannot be accessed. When you lost data from flash drive, hard drive or other devices due to deletion, formatting, or virus, you can try data recovery software to get back lost data. 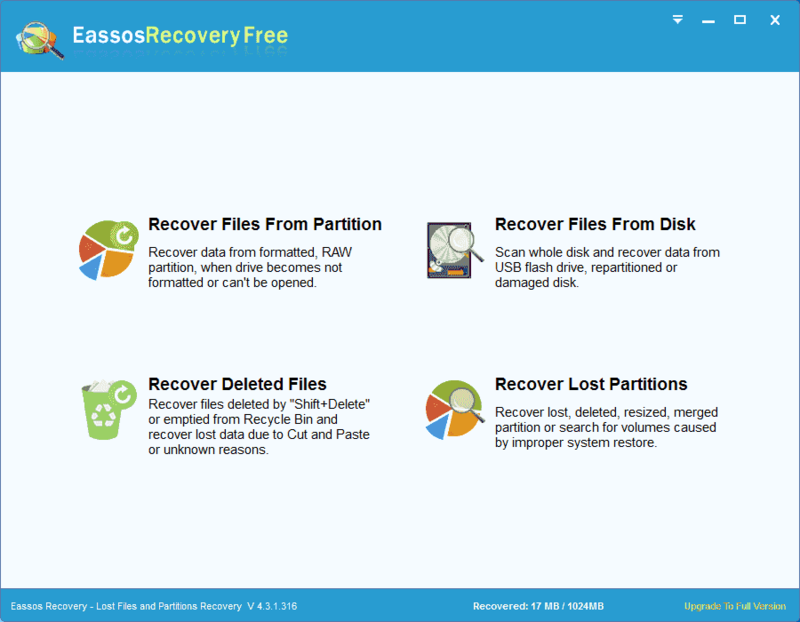 Here we introduce two types of recovery software: free data recovery software and professional recovery software. Support file recovery, partition recovery, hard drive recovery, external hard drive recovery, SanDisk Data Recovery, SD card recovery, virtual disk recovery, etc. 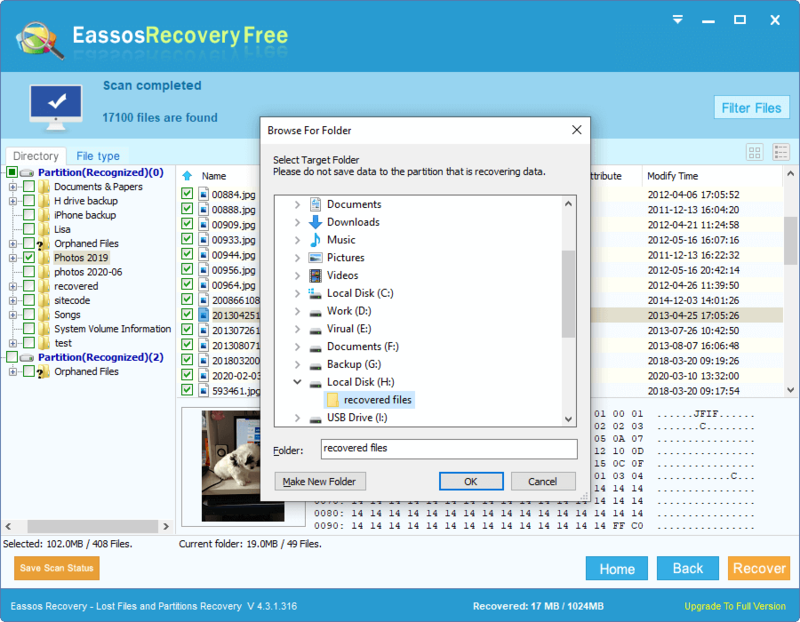 Do not feel frustrated if you deleted files from pen drive by mistake and this section talks about a guide that shows how to recover deleted files from pen drive via free pen drive data recovery software, Eassos Recovery Free. This free edition can recover 1GB data free of charge and the process is vert easy. 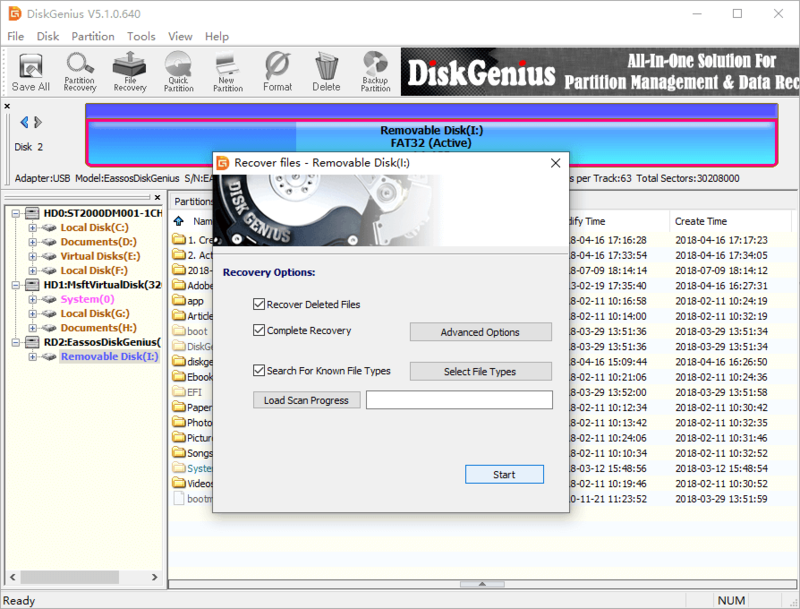 If this tool does not work on your case, you can use advanced recovery software DiskGenius to recover lost data from pen drive. Step 1 Connect your pen drive to computer and it will show up in File Explorer. Then install and launch Eassos Recovery Free your computer. Note: Do not install the recovery software or write any other data to the pen drive from which you want to recover data. 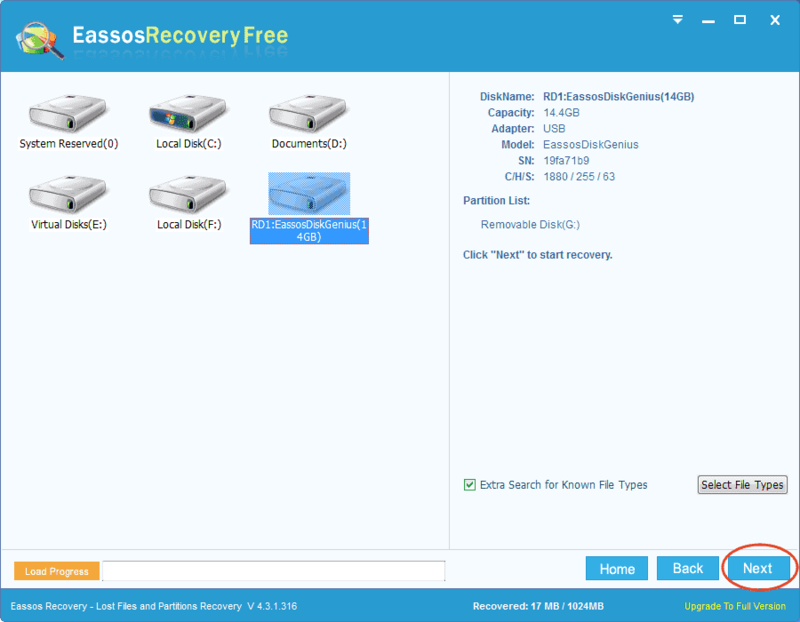 Step 2 Select recovery mode from the main interface of Eassos Recovery Free. 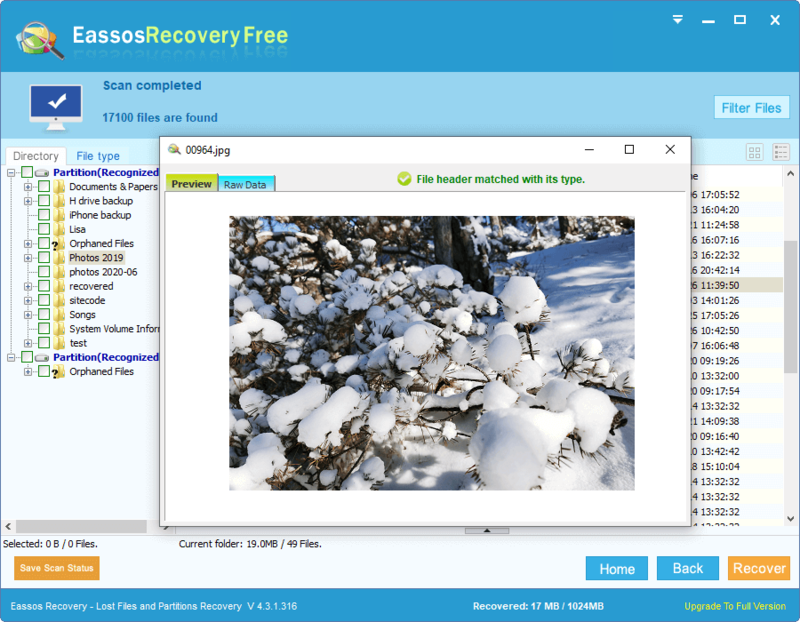 This pen drive recovery freeware provides 4 recovery options for different data loss situations. To recover deleted files, you need to select "Recover Deleted Files". Step 3 Select the pen drive and click Next button to start scanning process. 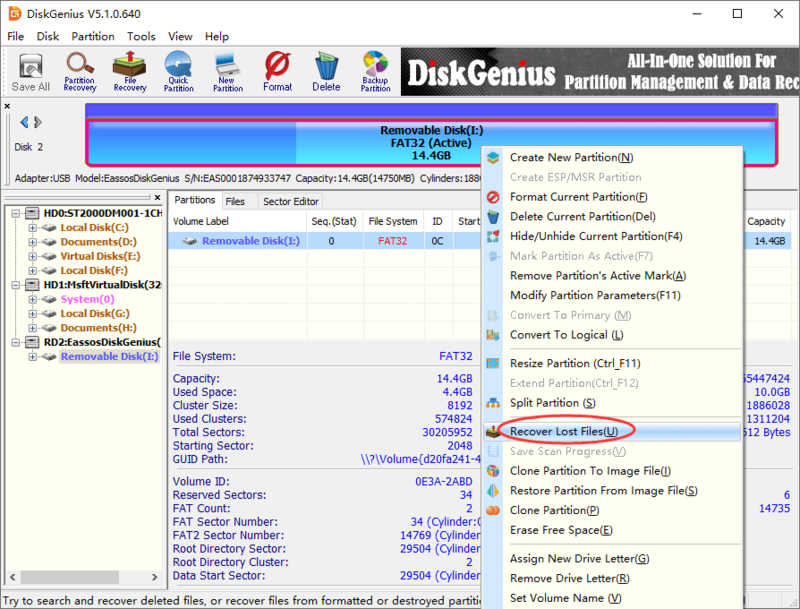 This page shows all partitions on your computer and you should choose the pen drive to scan it. It is quite easy to identify pen drive here. In general, its name includes prefix like "RD0:" "RD1", and you can view its information such as capacity, adapter, model, SN, etc. after highlighting it. Step 4 Preview recoverable files in scanning result. Double click a file on the right pane and you can open the file in previewing windows. Such file previewing method supports pictures, video, text, audio, document files. Therefore, you can easily make sure whether the file is damaged before recovery. Step 5 Recover deleted files from pen drive. Select files and folders you want to restore and click Recover button, and then you can select a location to save these files, as follows. To guarantee successful recovery of lost data, you should save recovered data to a different device or drive. Once all files are copied completed, you can open target location to view recovered data. Pen drive corruption is one of the major data loss causes, and there are various reasons that can lead to the issue, for example, virus attack, damaged file system, drive is removed improperly from the port, damage chip, etc. If you insert the corrupted pen drive to computer USB port and open File Explorer, you may see the drive letter but cannot open it. There should be error messages when you try to open it, such as E:\ is not accessible. The file or directory is corrupted and unreadable. If you check it in Disk Management, the file system may turn to RAW format. In some cases, Window asks whether to format the drive in order to open. Step 1 Connect the corrupted pen drive to computer and launch DiskGenius. Then you can view the pend rive in the software. If the pen drive cannot be recognized by Windows or DiskGenius, you need to check it out: First, insert pen drive to a different USB port to check if the USB port has something wrong and make sure connectors are tight; Second, connect the USB disk to a different computer which runs different edition of Windows system, so that you can examine the problem of pen disk. If the pen drive still does not show up in DiskGenius, the software cannot perform scanning and you'll have to send the disk to a recovery company. To recover files from corrupted pen drive or other USB disks, you should select both Complete Recovery and Search For Known File Types. These two options guarantee a complete and deep scanning on the selected drive. By the way, if you know the file system type of the pen drive being recovered data, you can click Advanced Options button to choose file system, which can speed up scanning and improve accuracy of recovery result. File preview is available during or after scanning process. You can click files and folder tree on the left pane and then view included data on the right part. Double-click a file and you can view file content in a pop-up window; if the file type is not supported by file preview, such as applications, file content will be shown in hex form; if the file is prompted to be damaged during previewing, the file won't be opened after it is recovered. Step 5 Recover files from pen disk. Select files and folders you want to restore, right-click on them and choose Copy To, as below. Then a window will pop up and you can select a location to store these recovered files. Pen drive is useful device, which helps store lots of files for us and transfer data between various machines. However, data stored on pen disk can get lost anytime due to many reasons. In this guide we discussed two ways to recover deleted files from pen drive and retrieve data from corrupt pen disk and hope it can help you get out of data loss situation. Data recovery software can do a great job of restoring lost data, and it is secure, time-saving and effective, but you should make sure there is not data overwriting. Last but not least, try your best to make backups and keep backups on difference devices, which keeps you away from data loss issue. If you need any help regarding pend rive recovery, please free to contact our support team. 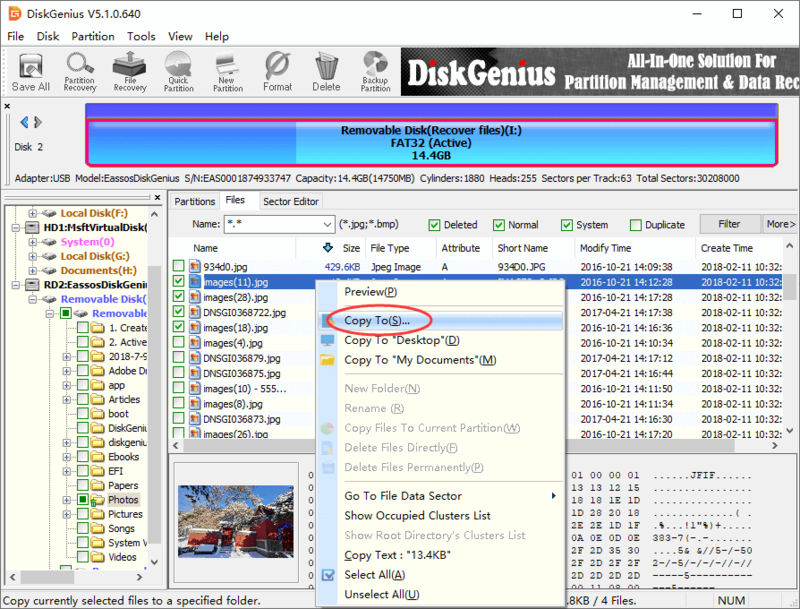 DiskGenius - Safe pen drive recovery software helps recover lost data from corrupt or formatted pen drive.